Dubai, UAE: Two UAE perfumers with a passion for fine fragrances are carving their own niche in a US$50 billion global fragrance industry, with their latest creations on show at the Middle East’s largest beauty and wellness trade fair this May in Dubai. Abduljabar Al Harthi, the CEO of ‘Nose’ of Jealous Group, will launch two collections of niche perfumes that both pay homage to his country of birth, and also articulate the ‘common human qualities amongst nations’. Abdulla Saleh Al Hammadi, Brand Owner and brainchild of The Code Voyage, meanwhile will unveil his brand concept, inspired from his childhood fascination for collecting exquisite perfume bottles and their potions within, during his numerous family vacations around the world. The two collections are among more than 20 brands that will be on display at Quintessence – an exclusive showcase of niche perfumes at Beautyworld Middle East, which runs from 8-10 May 2018 at Dubai International Convention and Exhibition Centre. His other Eter Story Collection of five perfumes called Peace, Salam, Hipeng, Mir, and Erini wave various stories around the message of love, understanding and communication between different races and cultures. “Eter Story is not a story of a fragrance as much as it is a message that gives people a common space for rapprochement and mutual understanding through a shared experience and a unique diversity that distinguishes them,” said Al Harthi. Al Harthi’s passion for niche fragrances and the stories behind his creations are becoming increasingly popular among consumers, who’re seeking more personalisation than what mass-produced perfumes bearing the names of global fashion houses appear to offer. The rise of niche perfumes – distinguished by the raw ingredients that go into creating a scent, combined with the vivid stories of the perfumers behind them – has been borne out by the popularity of Quintessence, which was first introduced at Beautyworld Middle East in 2016. The Code Voyage is participating for the first time at the exclusive showcase in 2018. Al Hammadi said he wants to share the brand’s concept with potential ‘co-voyagers’: “Code Voyage Perfumes celebrate the generosity, hospitality, unity and victories that we all share and experience in our daily lives,” said Al Hammadi. Al Hammadi said his brand is rooted in traditional values, reflected in classic shapes used in the packaging: “Although the brand’s values are based on the traditions and way of life of ancient Arab tribes and their experiences, human values and success remain universal and alive: resonating with every human being,” he added. Al Harthi said Middle East consumers have always searched for the highest quality and most unique items, with fragrances being no exception: “The art of perfumery has been in the region since before the creation of perfume as we know it today and it has always been an important part of this region’s cultural heritage,” said Al Harthi. 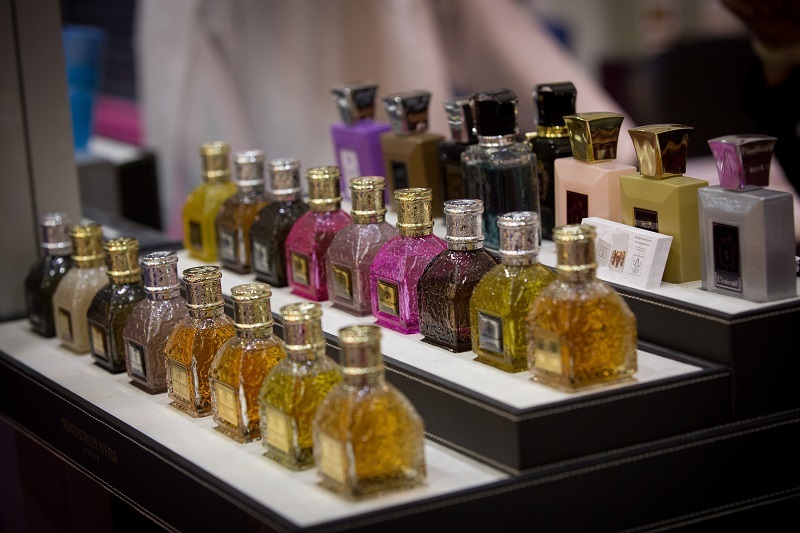 Quintessence – the Art of Perfume, is one of more than eight value-added features at the 23rd edition of Beautyworld Middle East in 2018. Ahmed Pauwels, CEO of the exhibition’s organiser Messe Frankfurt Middle East, said the UAE has a long association with fragrances, with the niche element becoming increasingly popular: “UAE consumers spent US$2.2 billion on beauty and personal care in 2017, of which US$674 million went towards fragrances, an increase of nearly six percent over 2016,” said Pauwels. “The Gulf country is one of the highest per-capita spenders in the world on perfumes and has always traditionally been a very strong perfume market. Now what we’re seeing is a major shift whereby consumers want to know more about the artistry, creativity, and inspiration behind their favourite fragrances. Other niche brands at Quintessence in 2018 include Antonio Croce, Coquillete, and Teaology from Italy; the Art of Scent from Switzerland; Poland’s Bohoboca; Dofta from Sweden; House of Potentia, Odin, and Ulrich Lang from the USA; Rebatchi Prive from France; Germany’s The Oriental Perfumery; and Areej Le Dore from Thailand. Aside from Quintessence, Beautyworld Middle East 2018 returns with other popular highlights that attract thousands of professionals every year, such as Centre Stage by Nazih Group; Nail It! by Artistic Nail Design & OPI; and the Battle of the Barbers. New this year is the Innovation Zone, Blend it! in collaboration with centdegres, and the Advanced Aesthetic Therapist Conference and Workshop. The annual three-day event will feature more than 1,600 exhibitors from 60 countries covering the five product groups of Hair, Nails & Salon Supplies; Cosmetics & Skincare; Machinery, Packaging, Raw Materials & Contract Manufacturing; Fragrance Compounds & Finished Fragrances; Personal Care & Hygiene, and for the first time in 2018, Natural and Organic. Its strong international flavour will be highlighted by 21 country pavilions from Argentina, Bulgaria, Brazil, China, Japan, France, Germany, Hong Kong, India, Italy, Korea, Morocco, Pakistan, Spain, Taiwan, Thailand, Turkey, UK, the USA, and for the first time in 2018, Russia, and Peru.